Often looking for large hole beads for cabinet key tassels. If I recall correctly, this is how Gabrielle Liese first became interested in bead collecting. 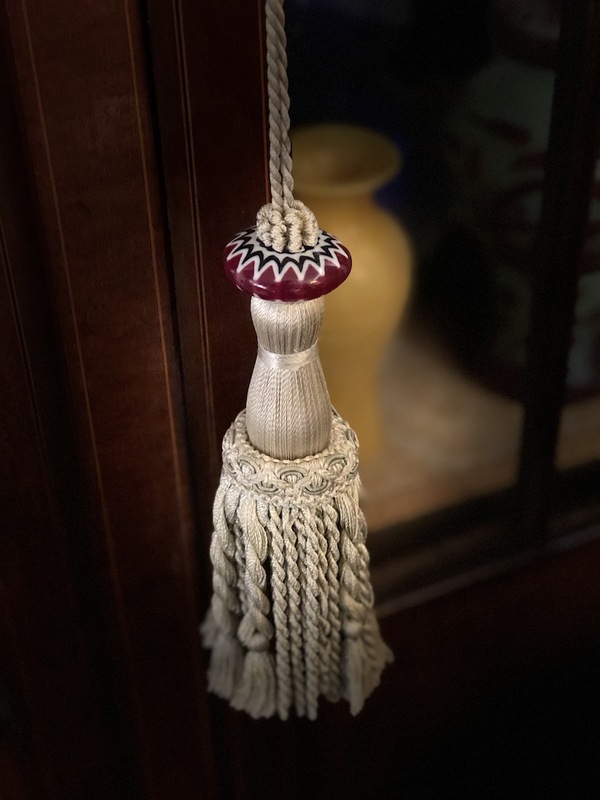 As a professional Interior Decorator, she wanted beads for tassels on drapery tie backs. Re: Art Works -- Frederick II Post Reply Edit Forum Where am I? What hole size do you prefer ? Re: Re: Art Works -- frank Post Reply Edit Forum Where am I? Generally, one eighth to one third inch. Exquisite! That is also what I recall about Gabrielle Liese and her initiation into the bead world.